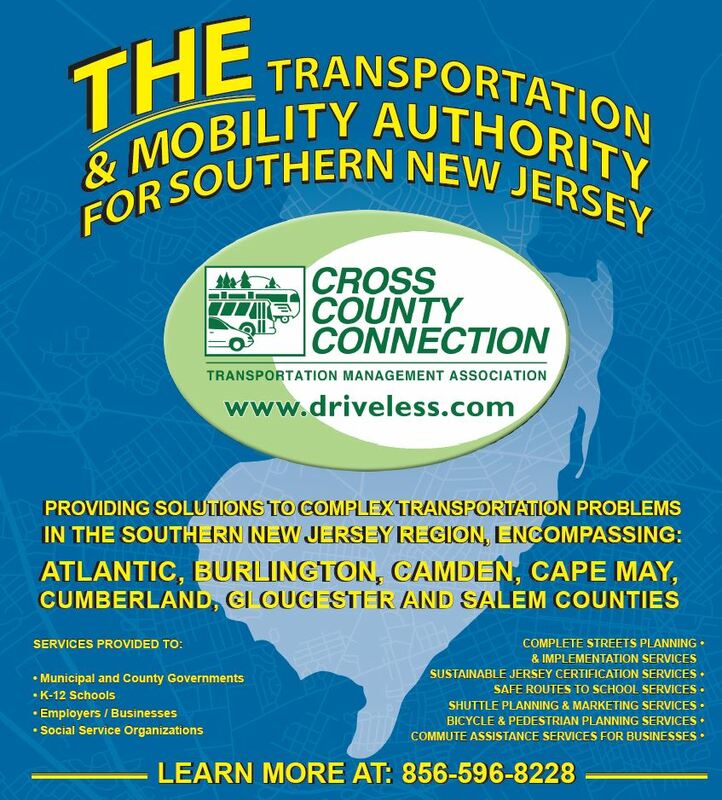 Cross County Connection is a non-profit Transportation Management Association (TMA) providing transportation-related services in New Jersey’s seven southern counties, including the counties of Atlantic, Burlington, Camden, Cape May, Cumberland, Gloucester and Salem. 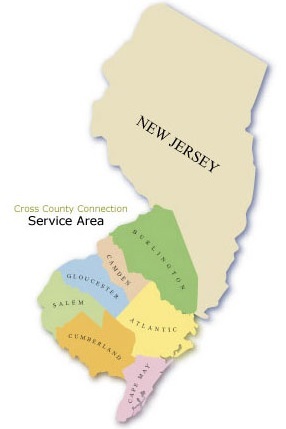 Since 1989, Cross County Connection has been working with businesses, communities, and commuters to provide solutions for transportation problems in southern New Jersey. Cross County Connection TMA was formally incorporated in 1989 through the efforts of a group of southern New Jersey business leaders, local government officials, and representatives from the New Jersey Department of Transportation (NJDOT) and New Jersey Transit Corporation (NJ TRANSIT) to address mobility issues in the region and reduce the number of vehicles on state and local roadways. Today, Cross County Connection provides solutions to complex transportation problems for counties, municipalities, employers, and commuters in its seven-county region. 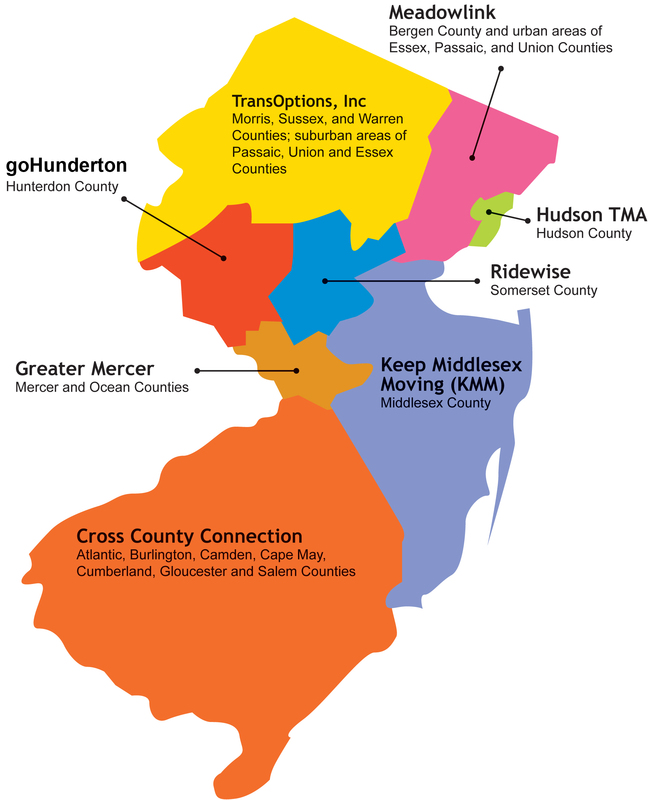 Commuter, municipalities, county governments, and employers all benefit from Cross County Connection’s work in seeking and providing viable transportation solutions for the southern New Jersey region. Commuters benefit by using us as a centralized source of valuable information on joining carpools or vanpools, using trains, shuttles or buses, commuting by walking or biking, and finding timely traffic or roadway construction alerts. We even reward commuters for using alternate transportation. Municipalities and County Governments rely on our expertise in the creation and promotions of community shuttles and bicycle and pedestrian facilities, GIS mapping, transportation assessment and evaluation, and grant assistance. Employers find a ready resource to help their employees get to work. From basic services—providing bus or train schedules—to the complex—full scale employee commute benefit programs, we seek practical solutions to the issues employers face. Cross County Connection is a free resource for southern New Jersey municipalities and schools seeking to implement a Safe Routes to School (SRTS) program. Cross County Connection accomplishes this mission by promoting and facilitating the use of commute alternatives, including car/vanpooling, public transit, bicycling and walking. 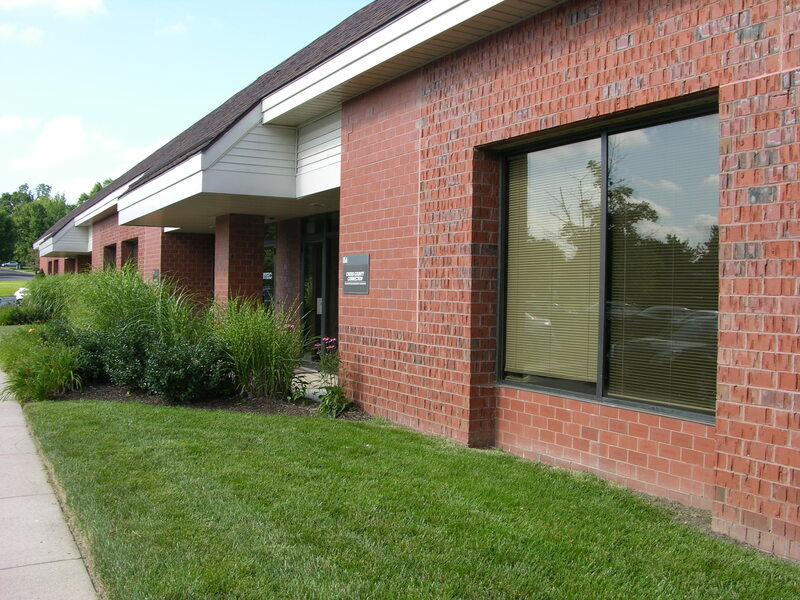 Cross County Connection’s numerous services are available to residents, employees and employers within its service area, as well as local and county governments. If your residence or business is located outside of Cross County Connection’s seven county service area, click the map below to view the Transportation Management Association serving your area. The North Jersey Transportation Planning Authority (NJTPA), the New Jersey Department of Transportation (NJDOT), NJ TRANSIT, the Delaware Valley Regional Planning Commission (DVRPC), the South Jersey Transportation Planning Organization (SJTPO), the U.S. Federal Highway Administration, and public and private sector employers and organizations. Members have access to all services listed for commuters, employers and counties and municipalities, and they enjoy several additional benefits. Join this group of companies and organizations who are dedicated to providing effective transportation solutions to New Jersey residents. The Americans with Disabilities Act (ADA) of 1990 is a civil rights law that mandates the elimination of discrimination against persons with a qualifying disability. CCCTMA attempts to make its information accessible to all individuals. If you use special adaptive equipment and encounter problems when using this website, please report them using the contact information provided on the website, or by contacting us directly. We will strive to provide the information available in an alternate format.